These are great for using up dinner leftovers. You can fill the dough with any filling you like. 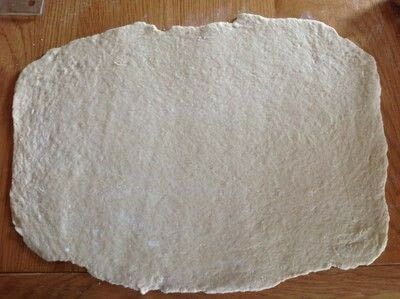 You could also use shop bought dough, but this dough is really easy to make. 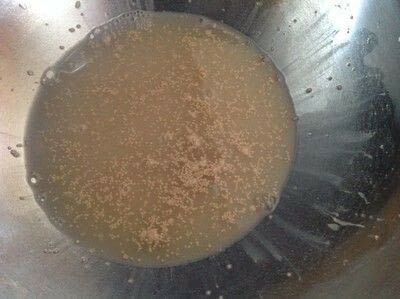 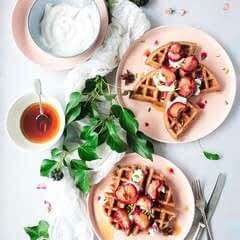 Mix yeast, honey & water together. Add in the oil & flour one cup at a time until a dough is formed. It may take more or less of the flour. 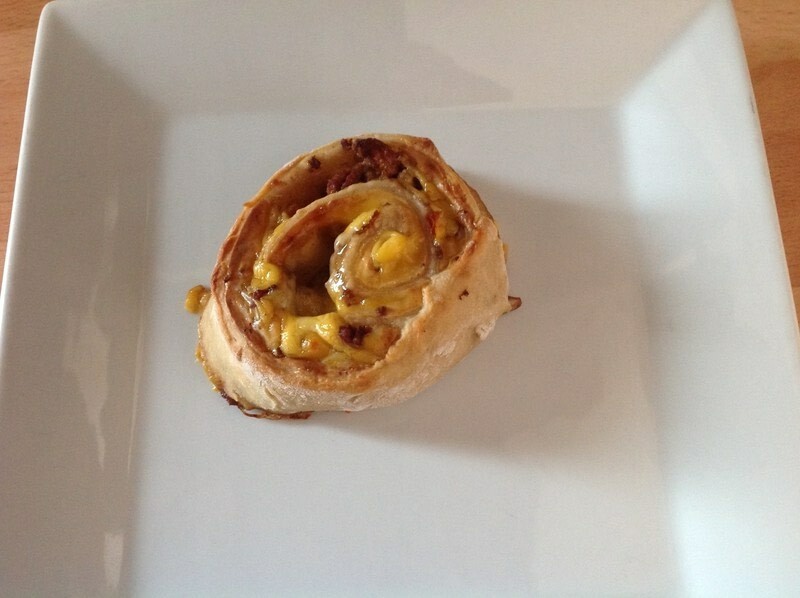 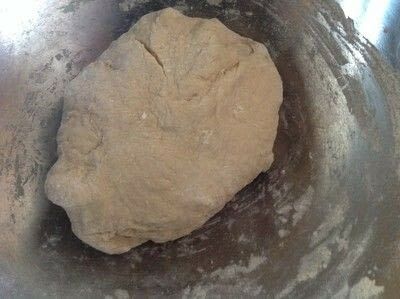 Roll the dough into a ball & leave to rest for 5 mins. 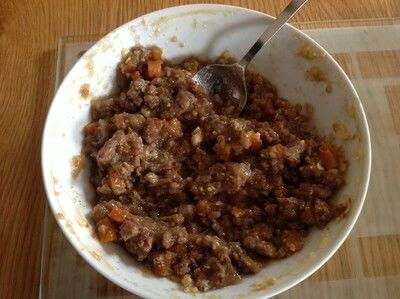 Brown the mince with the onion & garlic. 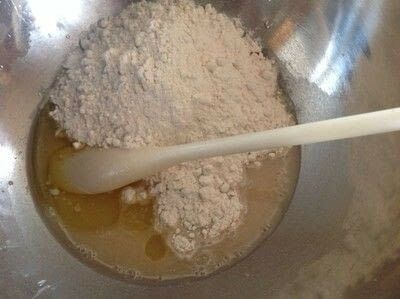 Add herbs if you wish. 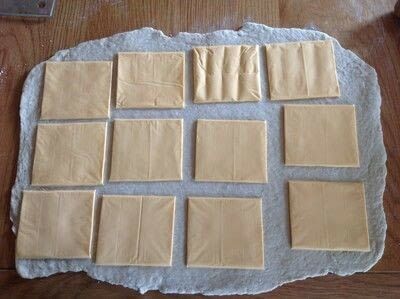 Add slices of cheese over the dough to cover. 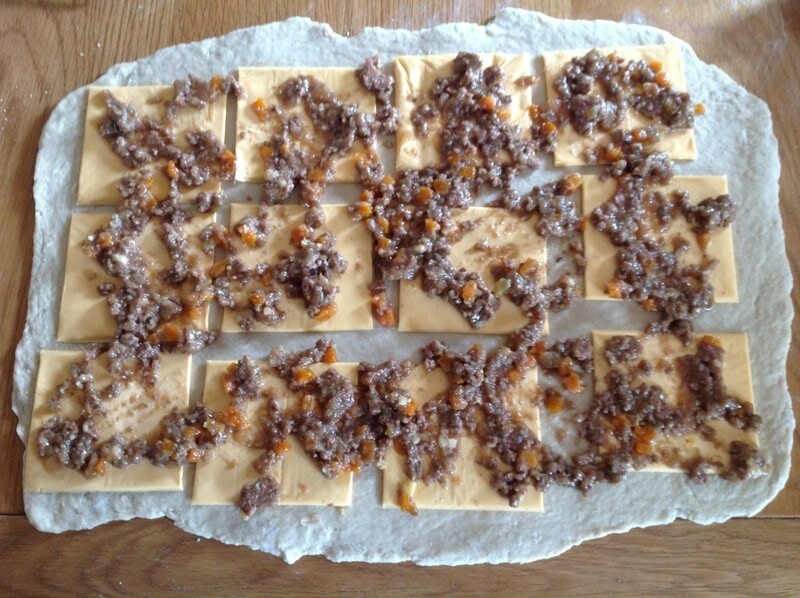 Add the meat mixture on top of the cheese. 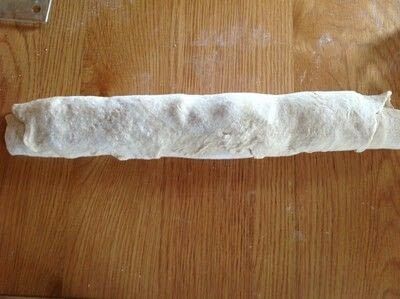 Roll the dough into a long sausage. 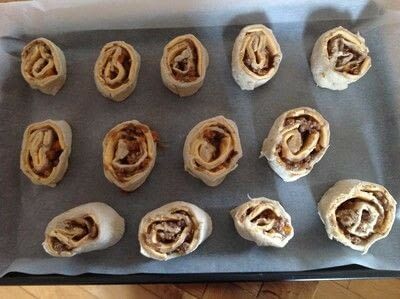 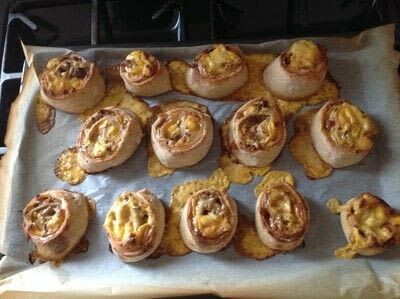 Place onto a tray & bake for 15-20 mins until the dough is cooked through.